Twinkle Twinkle Little Star Baby Shower favors are unique, will add to your decor, and are sure to be a hit at your Twinkle Twinkle Little Star Baby Shower. Star party favors are available in multiple color choices making them perfect for both a boy baby shower or girl baby shower. 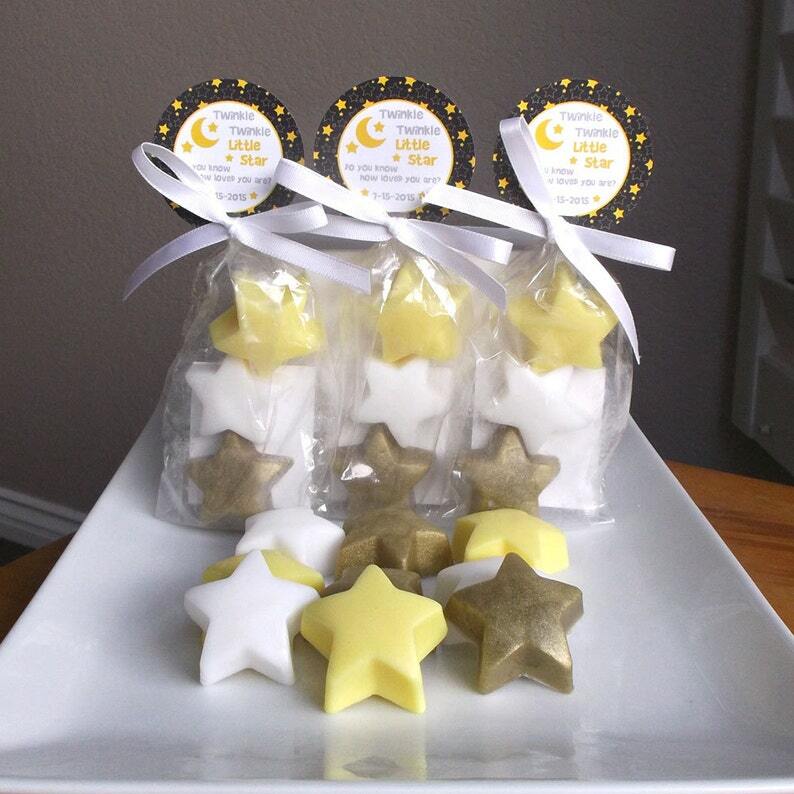 Each favor includes 3 star soaps. Includes favor tags that say "Twinkle Twinkle Little Star. Do you know how loved you are?" Excellent customer service and a great baby shower gift! Sorry, I have not received my order yet. I am getting a little nervous. Any thoughts on this? I would gladly review it when I receive it. Your party date provided was 9-2. You convo'd on 7-31 and was advised that your order was shipping that week. Your package was sent on Aug 3, 2017 with USPS with tracking#9305589843900547117921. After I told you on 7-31 that your order was shipping well in advance of your party, you gave me a 1 star review the next day.